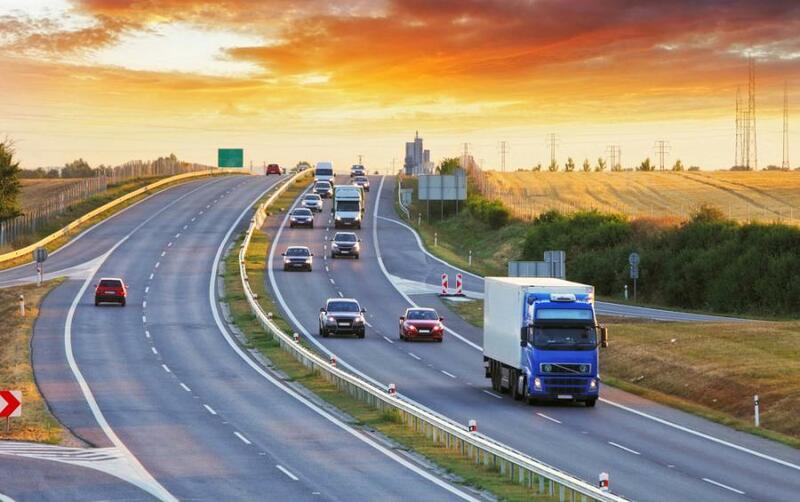 The Commission on the Future of Transportation in the Commonwealth released its two-part report on transportation needs and challenges facing the Commonwealth between 2020 and 2040. On Dec. 14, the Commission on the Future of Transportation in the Commonwealth released its two-part report on transportation needs and challenges facing the Commonwealth between 2020 and 2040. The commission was established by Executive Order No. 579, signed by Gov. Charlie Baker in January 2018, to provide recommendations to the Baker-Polito Administration on how to best account for potential changes in transportation in the future. The report considers complex factors affecting the future of transportation such as increasing electrification of the Commonwealth's transportation system, preparing transportation infrastructure for climate change and the intersection of land use, housing and transportation policies. The Baker-Polito Administration will now further review the recommendations made by the commission and consider initial steps state agencies can take to achieve the goals of moving more people while reducing emissions in the Commonwealth's transportation system. "The commission's report will help inform our administration as we look to future investments in the Commonwealth's transportation system in a changing world and consider various factors such as regional transportation needs and inevitable advances in technology," said Baker. "These recommendations will help support future efforts to deliver a more resilient and reliable transportation system for all residents." "The recommendations will help our administration as we tackle some of the most dynamic issues facing the Commonwealth over the next twenty years," said Lt. Gov. Karyn Polito. "We are grateful to Commission Chair Steve Kadish and the members of the commission for delivering a thoroughly researched report that will better position the Commonwealth to embrace the future." Volume I of the report lays out key mobility challenges facing the Commonwealth, based on trends analysis and scenario planning, and includes suggested initial steps the Commonwealth should take in order to prepare for that future. The commission made 18 recommendations, grouped into five thematic categories, for how to best prepare Massachusetts' transportation network for 2040. Volume II of the report represents 10 months of research, learning and input from a range of academic, industry and advocacy sources. The report details demographic, social, technological and climate-related trends that will affect transportation in 2040, and consists of five areas of study: Demographics and Land Use; Transit, Active Transportation, and Mobility Services; Autonomous and Connected Vehicles; Climate Change and Resilience; and Transportation Electrification. "This is an important body of work containing recommendations grounded in data, trend analysis, input from experts, and consideration of plausible scenarios for 2040," said Kadish. "The commission's report recognizes that while we need to continue to care for and improve the transportation system we have, we must also strengthen and change the system in order to support the future of mobility. To that end, the commission is encouraging action and this report lays out a meaningful path to implementation." "Transportation planning is ultimately about helping people get to where they need to go, and this report contains valuable recommendations for us to consider and act on in forming collaborations, making policy decisions, and investing in capital projects and new operating models in order to meet the needs of everyone in the decades ahead," said Transportation Secretary and CEO Stephanie Pollack. "Massachusetts continues to lead the nation in addressing climate change by proactively working to research and develop policies to reduce greenhouse gas emissions, and ensure our transportation infrastructure is resilient to the impacts of climate change," said Energy and Environmental Affairs Secretary Matthew Beaton. "The Commission on the Future of Transportation's report, together with the results of the Baker-Polito Administration's statewide Transportation Sector Emissions Listening Sessions, will help guide state and regional efforts to build a stronger and more sustainable transportation system for generations to come." The commission's members held a series of listening sessions across the Commonwealth to receive feedback from stakeholders and members of the public about future transportation needs and challenges. This input, in addition to commission meetings with transportation industry experts and with the professional expertise brought to the commission by its members, helped inform the report as the commission considered issues such as varying transportation needs across the Commonwealth's regions, Massachusetts' aging population and improving the resiliency of transportation infrastructure in the face of a changing climate. I. Modernize existing state and municipal transit and transportation assets to more effectively and sustainably move more people throughout a growing Commonwealth. The commission also has proposed establishing an effective way to monitor and measure progress in implementing its recommendations. Members encourage a review of critical benchmarks, and other considerations as determined by the Governor. Commissioners suggest a review independent of the state agencies involved, and transparent to the public. Chair Steven Kadish, who began work as a senior research fellow at the Taubman Center for State and Local Government at Harvard University's Kennedy School of Government, after serving as Gov. Baker's first chief of staff for nearly 3 years. Vice Chair Eileen McAnneny, president of the Massachusetts Taxpayers Foundation since 2015. Rebecca Davis, deputy director of the Metropolitan Area Planning Council. Dan Dolan, president of the New England Power Generators Association. Gretchen Effgen, vice president of the Global Partnerships and Business Team at nuTonomy. Andrew Hogeland, president of Berkshire County Selectmen's Association, Williamstown Selectmen. José Gómez-Ibáñez, Derek C. Bok professor of Urban Planning and Public Policy at Harvard University and chair of the Social and Urban Policy Area at Harvard Kennedy School. Kenneth Kimmell, president of the Union of Concerned Scientists. Carol Lee Rawn, senior director of transportation for Ceres, a Boston-based sustainability nonprofit organization. Timothy McGourthy, executive director of the Worcester Regional Research Bureau. Mark Melnik, director of Economic and Public Policy Research at UMass Donahue Institute. Colleen Quinn, senior vice president of Global Public Policy for ChargePoint, the world's largest network of electric vehicle charging stations. Karen Sawyer Conard, executive director of the Merrimack Valley Planning Commission. Sandra Sheehan, administrator of the Pioneer Valley Transit Authority. Stephen Silveira, senior vice president at ML Strategies, where he assists clients in their interactions with state and local governments. Navjot Singh, managing partner of the McKinsey Boston Office, who focuses on the intersection of science, medicine, business, investments, and government. Kirk Sykes, the head of the Urban Strategy America Fund L.P, where he supervises partnership equity placement, the identification of investments, and day-to-day operations of the fund.